I am very happy to share a few medals from my personal collection! 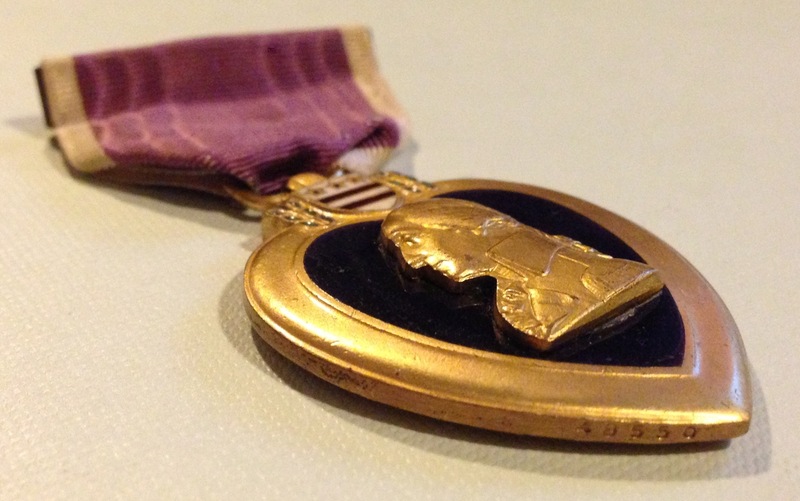 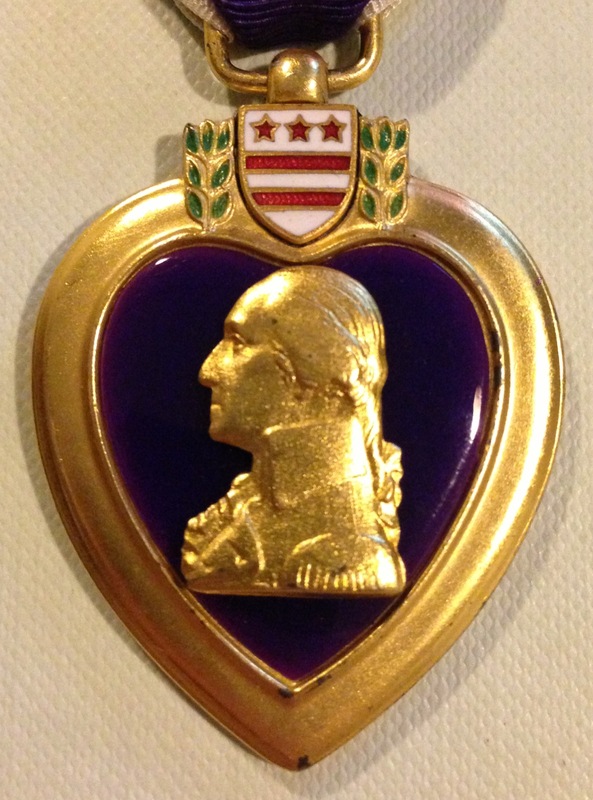 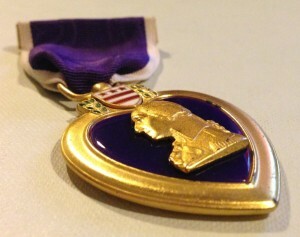 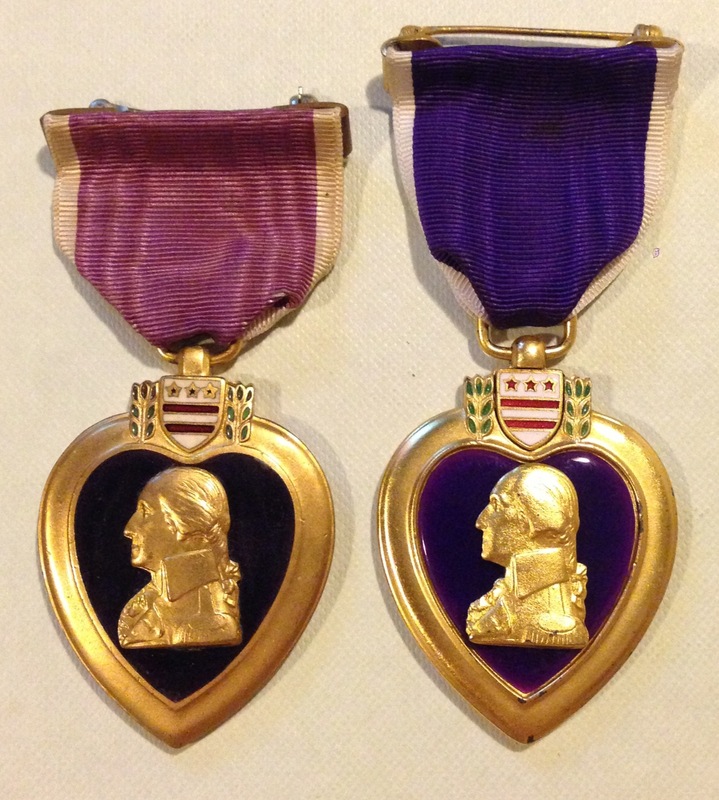 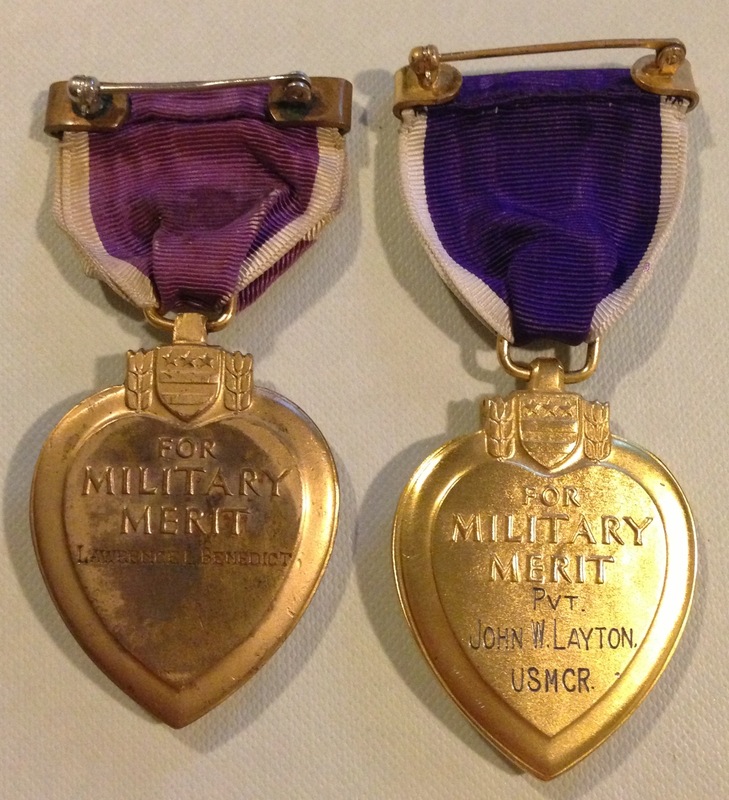 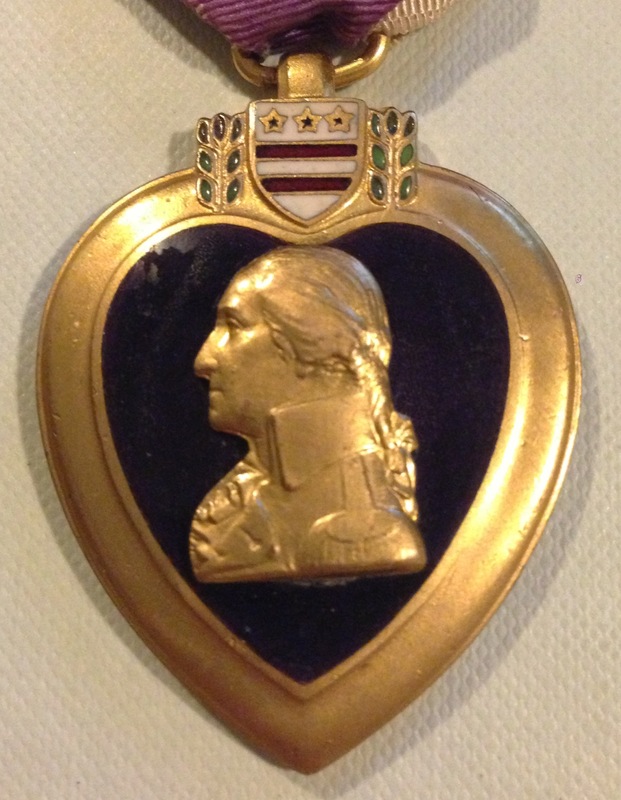 I hope you enjoy my comparison of the 1932 Army & Navy/USMC Purple Heart Medals. 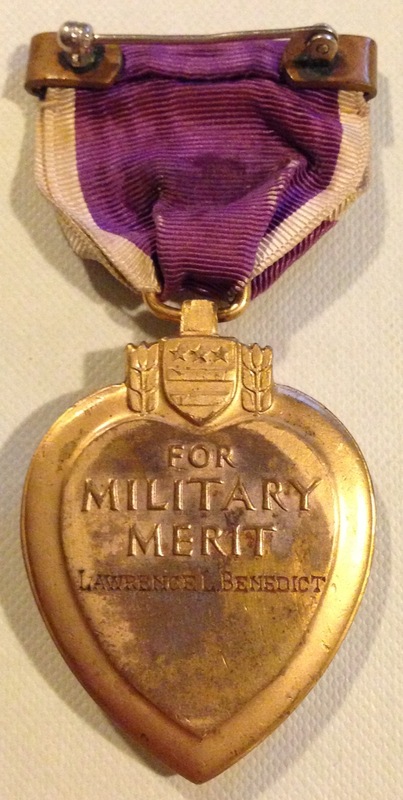 (In my experiences) Prices vary by condition and the recipient named on the medal. 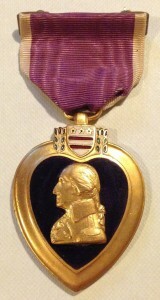 Type 1a (1932-1940): bronze gilt medal, enamel heart, split wrap brooch, 1 to 5 digits numbered on rim. 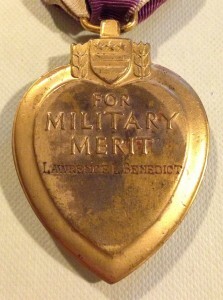 Awarded to the recipient by application only, therefore all Army Type I Hearts will be engraved on the reverse with the recipient's name. 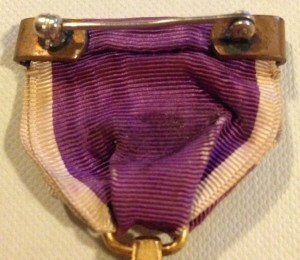 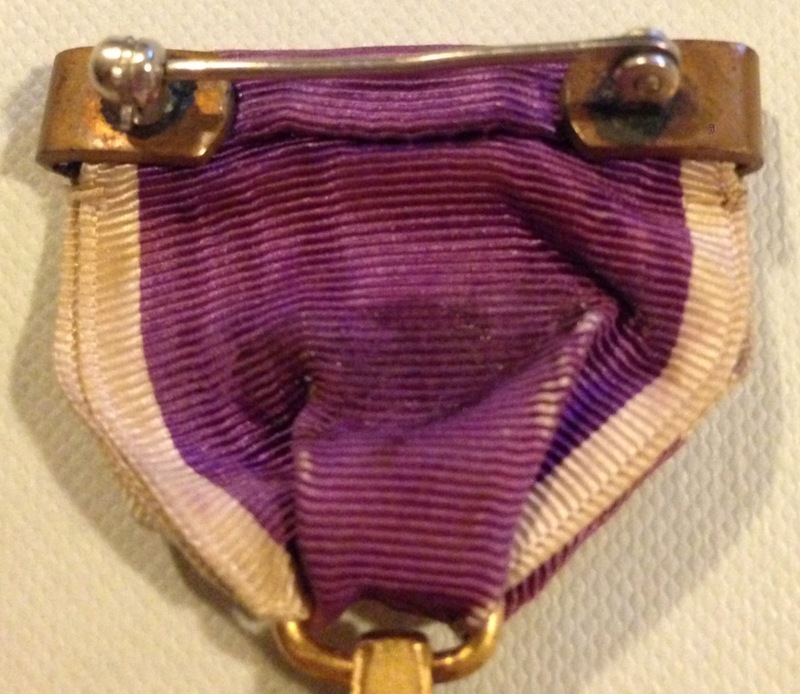 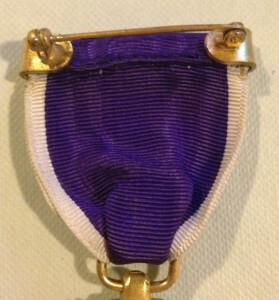 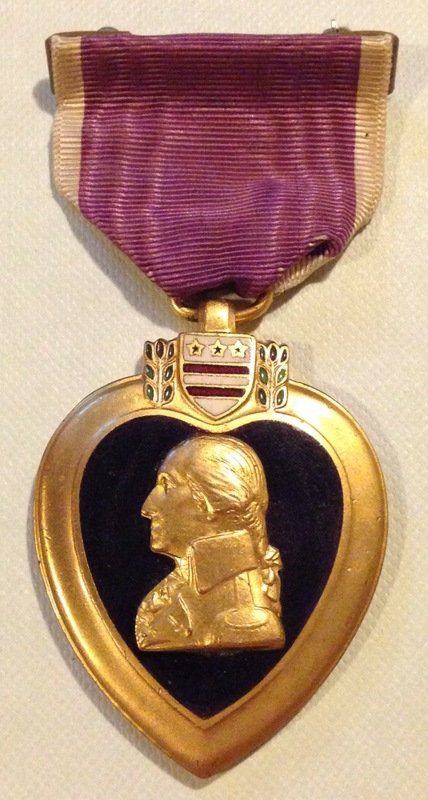 Here is a World War 1 awarded 1932 Army Purple Heart Medal #48550 to Wounded Army soldier "LAWRENCE L. BENEDICT". Type I (1943-1945): sterling silver gilt, plastic heart, split wrap brooch, unnumbered. Initial production run of 135,000 ordered by the Navy's Bureau of Personnel from the US mint. 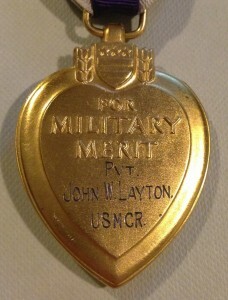 Here is a World War 2 Posthumously awarded 1932 Navy/USMC Purple Heart Medal to USMC Private "JOHN W. LAYTON"
John Wesley Layton, 1st Battalion, 23rd Marines, 4th Marine Division KIA on Iwo Jima Feb. 20, 1945.